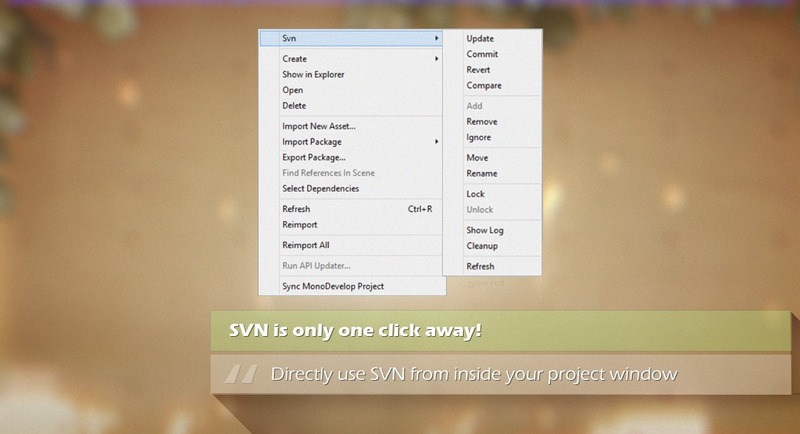 SVN Tools is designed to give you version control fully integrated into the Unity editor. Creating a seamless process, with the power to never have to switch between different windows again. 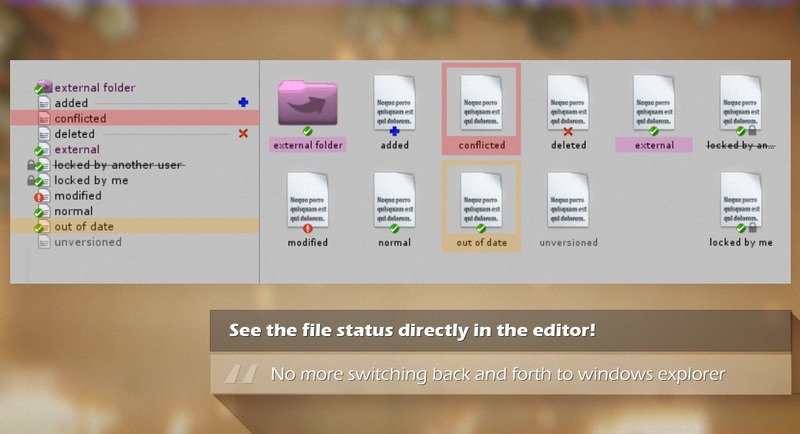 See the file status right inside your project window. 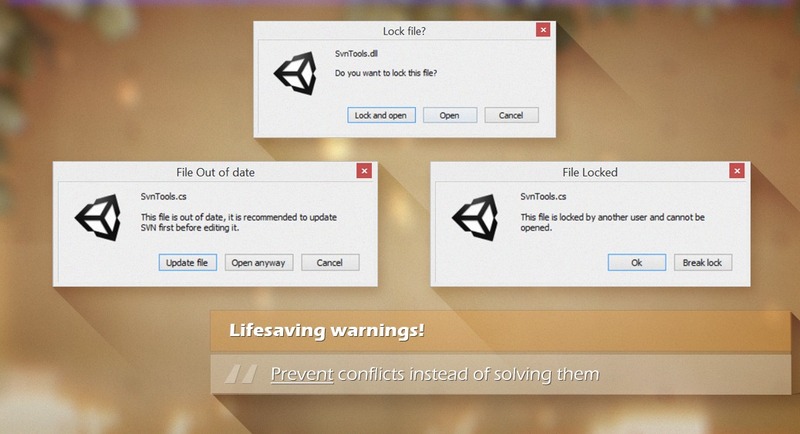 No more switching back and forth to windows explorer!